KOOP Radio 91.7FM & Full Band Show at Whip In this Saturday! 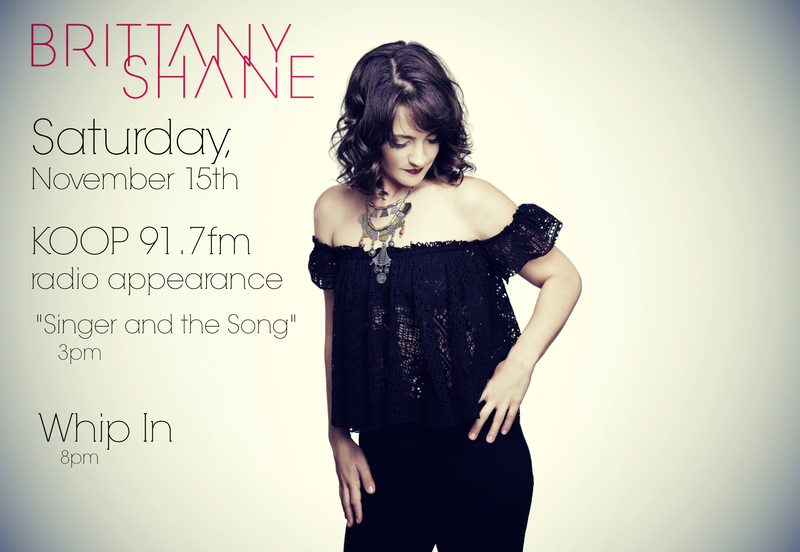 This Saturday I’ll be playing live & interviewed on Austin’s KOOP Radio 91.7 at 3pm and followed by a full band show at the Whip In at 8pm! I’ll be interviewed and playing 6-8 songs. This entry was posted in news on November 10, 2014 by Brittany.